Granada is possibly the most unique city in Southern Spain. Andalucia Inside will take you on a fascinating journey discovering some of the city’s best kept secrets… passages, dungeons, and Spanish patios hide in the streets of El Albaizyn. 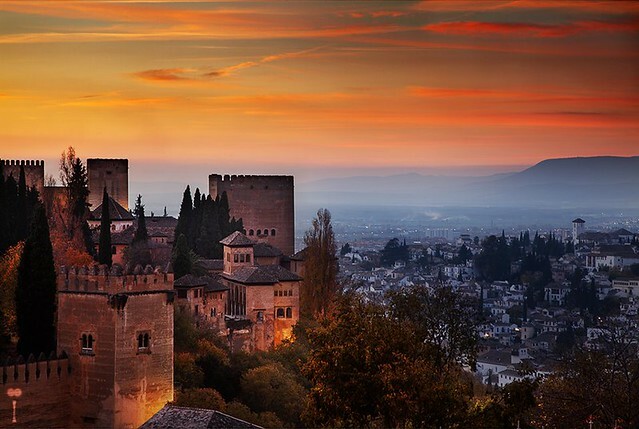 Our high end tour will continue with a visit to three select tapas restaurants to taste excellent Andalusian cuisine and will end at Mirador de San Nicolas, a magnificent plaza with views to Granada and La Alhambra. Granada at dusk, when the Alhambra is bathed in hues of pink and gold, is one of the most fascinating sights in the world. This Andalucían province is located towards the north of Andalucía, and it’s home to one of the most stunning mosques in the world called La Mezquita, which was constructed during a time when Muslims ruled Spain. Walking near La Mezquita and through the old historic center of Córdoba, which is known as La Judería, is like walking straight into the past. The tiny little cobblestone streets are lined with white walls where colored flowerpots have been hung, and it will seem like every corner you turn and every little plaza you find is worth of a photo. Apart from Córdoba’s beautiful monuments and old historic neighborhood, the city is well-known for dishing out some of Andalucía’s most delicious food. You can’t miss out on salmorejo, a thick cold soup made from tomatoes, olive oil, garlic and bread, nor flamenquín, which is a delicious piece of pork loin wrapped around a bit of cured ham and lightly fried. Almería is located in southeast corner of Spain, right on the coast. Because of Almería’s varied coastline and different winds, it’s a great destination to practice windsurfing and scuba diving. Apart from the beautiful sea and coastline, Almería also has one of the world’s most beautiful deserts, and it’s actually where parts of “Indiana Jones and the Last Crusade” was filmed. If you’re hoping for a more culturally-laden visit, Almería has got plenty to see. There is a large Muslim fortress called the Alcazaba that is definitely worth seeing, as well as a stunning castle and cathedral. 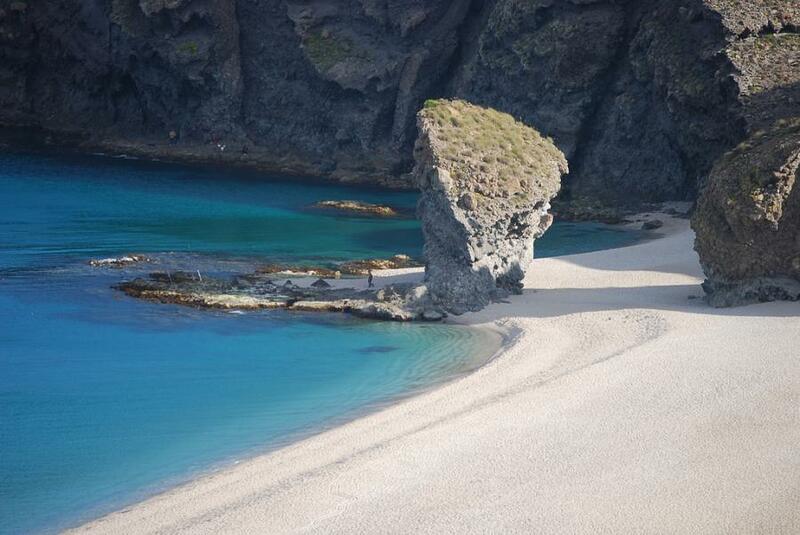 Apart from the historical sights, Almería also boasts an incredible natural park called Cabo de Gata-Níjar, which is studded with breathtaking plants, volcanic rock formations and pristine beaches that hug the coves up and down the coast. Some of the best cities to visit within Cabo de Gata-Níjar are Mojácar and San Jose, two picturesque beach towns with white-washed buildings and breathtaking coastlines. Cádiz is the southernmost province of Andalucía, and it boasts more than 160 miles of stunning coastline. Within the Andalucian province of Cádiz, there are so many beautiful treasures to uncover. If you decide to venture outside of the capital city, you’ll find all sorts of different craft trades like leatherwork, wool products and delicious wine throughout the different cities and villages. Of course there are many natural parks throughout Cádiz, too, offering spectacular views and glimpses into the region’s natural wildlife. And perhaps this goes without saying, but you simply can’t miss out on the spectacular beaches Cádiz offers. You’ll find white sand, blue water and beaches that stretch on for miles. One of the most amazing beach towns in Andalucía is located in Cádiz right at the southern tip of the country, and it’s called Tarifa. It’s a popular destination for avid kite surfers and surfers alike, and a beautiful beach to visit. Málaga is the beautiful province tucked between Granada and Cádiz and hugging the Alboran Sea, and the entire province is scattered with both charming little beach towns along the coast and pockets of deep-rooted history. You can see that history everywhere from the old historic center with its stunning churches and cathedral to the beautiful Castillo de Gibralfaro, which is connected to the Alcazaba -- what was once a Muslim fortress. Málaga is filled with such a wide array of beautiful surprises, so spend some time there. You can visit the breathtaking beach towns like Nerja with its exquisite blue water and interesting rock formations, as well as places like Marbella and Benalmádena. While you’re there, don’t miss out on having a seaside lunch in a chiringuito, Spanish for little beach bar. These casual bars along the beach dish out some of the best seafood in all of Spain. Málaga is the birthplace of the famous actor Antonio Banderas as well as Pablo Picasso. More than 50 miles of untouched white sand beaches and turquoise waters are in store.The most western-situated province of Huelva shares its border with Portugal and is home to some of the most stunning landscapes and beaches of Andalucía.This maritime town has the best of both worlds with mile after mile of stunning beaches as well as a rich countryside full of mountains and forests. The beaches offer a refreshing escape from city-life in the summer while the countryside will open your eyes to a whole other world within Huelva – a place where Iberian pigs are raised and slaughtered, and where some of Spain’s best cured meats come from. Because Huelva is full of such diverse areas and abundant natural landscapes, it’s the perfect city for hiking and taking in the breathtaking views. 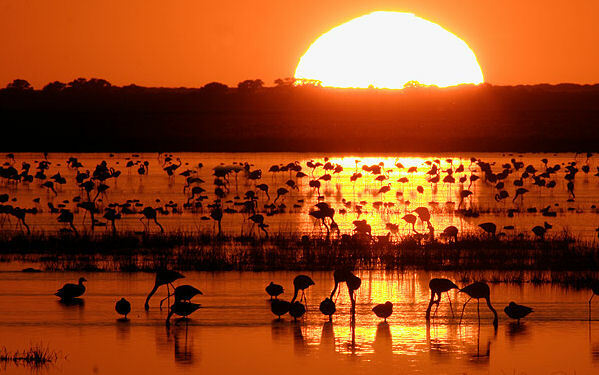 With our tours, you’ll have the chance to experience it all and see Huelva the way its meant to be seen. This province, which is located toward the north of Andalucía, is greatly known for its production of fantastic olive oil. The region is filled with little olive trees that provide this delicious Spanish product, and when you eat here, you’ll taste it in the food. In addition to that, this little province of about 164 square miles also offers little glimpses into the past with monuments like the Castillo de Santa Catalina, which was built upon a Muslim fortress, the Catedral de Jaen, well-preserved Arab baths and various beautiful palaces. Outside of the city, you’ll find stunning natural parks protecting the beauty of this Andalusian province, making it a beautiful place to venture to and explore.